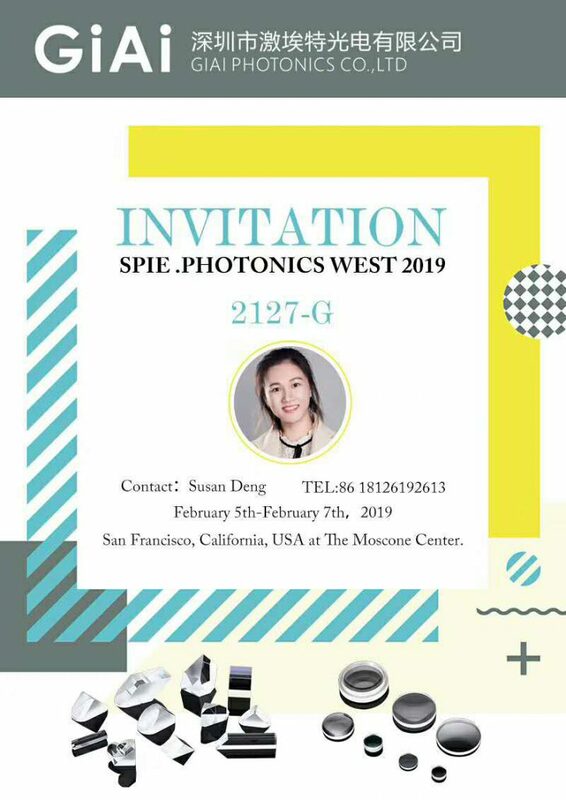 Welcome to Our Booth!We will attend SPIE Photonics West 2019(The Moscone Center. San Francisco) hold on Feb.5th，2019-Feb.7th，2019. And we sincerely invite you to visit our booth! 历史的文章历史的文章：We are in 18th Int’l Laser & Photonics Expo未来的文章未来的文章：Thank you for your hospitality and meeting at the SPIE show in San Francisco!